Once the air/fuel mixture was dialed in, she stayed awake. 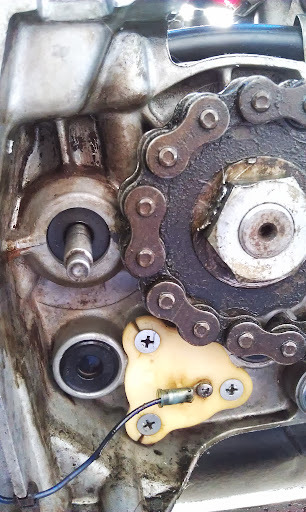 However, major clutch slippage made for first gear go, but it was kind of a sad mosey with a lot of noise. You like how I walk with it there at the beginning? Not so much for “little rocket” right now. Turned out the clutch rod was in backwards. 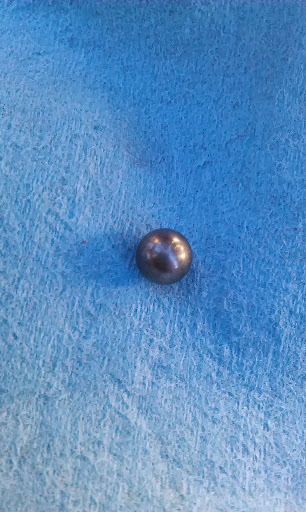 And missing a ball bearing. Der. gave the clutch some adjustment, and tested the spiky bike again. After two years she’s on the road! YEAH! Tomorrow, I’ll get plates for it, fix the headlight, clean up the wires (get a smaller fuse holder, etc) and probably look into getting a new battery. Could not have done this crazy project without the help of many friends. I am lucky to have such wonderful and giving people in my life.